A precious metal refinery I can finally call my personal choice. My company utilizes platinum flake. 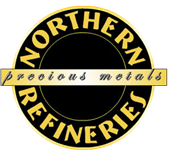 We have tried a lot of refineries and have never been more pleased and satisfied with your services in recovering and assaying our platinum flake in the most business-like manner. You addressed all my concerns about shipping and securing my platinum. You e-mailed me and called me as soon as you received my platinum shipment. I received my check from you today for the silver bar that I sent you. I enjoyed working with you and found you and your company very professional, very quick turn around time for payment and very honest. I will recommend your company to anyone who wants to cash-in silver. It was a pleasure doing business with you. Thank you so much for your prompt response. I didn't even expect to get that much from my small group! Received package 1 today, Mr. Avig. Thanks for the quick turnaround.